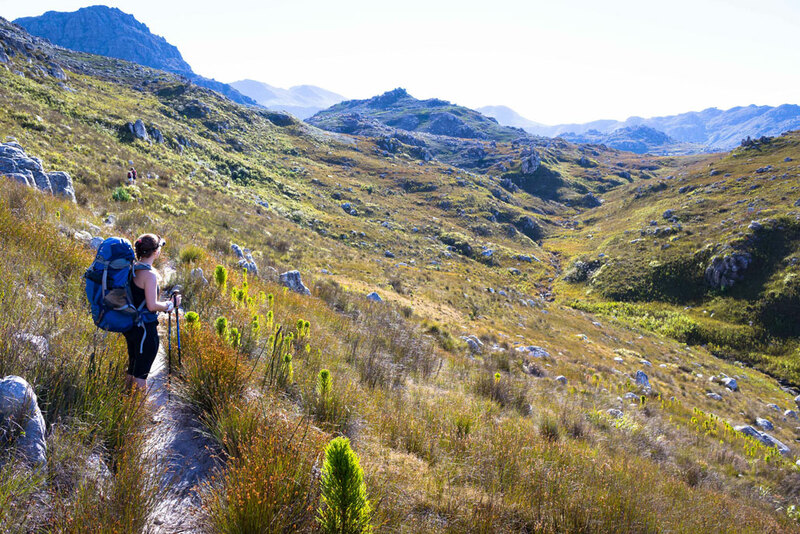 The Boland Trail is situated in the Hottentots Holland Nature Reserve, close to Grabouw in the Western Cape. 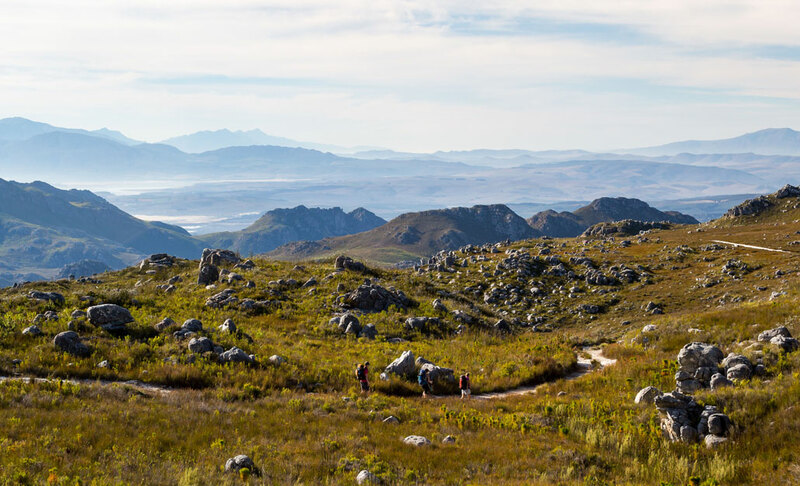 Being less than 90km away from Cape Town makes this trail ideal for a weekend getaway. 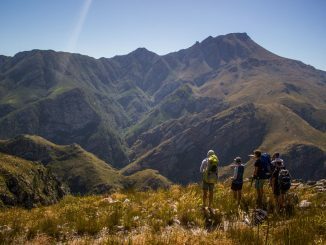 There used to be a 3-day option to Boesmanskloof Hut, but this seems to have been discontinued. I had forgotten how beautiful the Boland trail is. The last time I hiked it was in 2009, so the details had all but faded from memory. 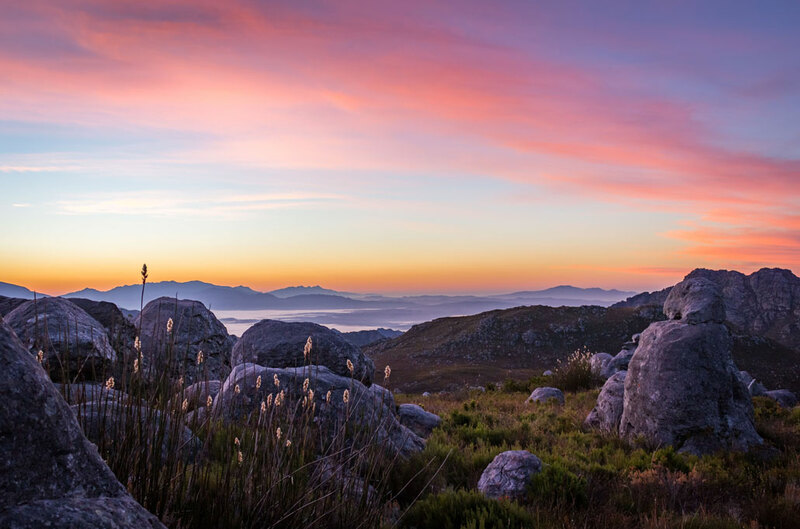 It winds through the heart of the Cape Floral Kingdom and treats one to stunning views of the surrounding areas. 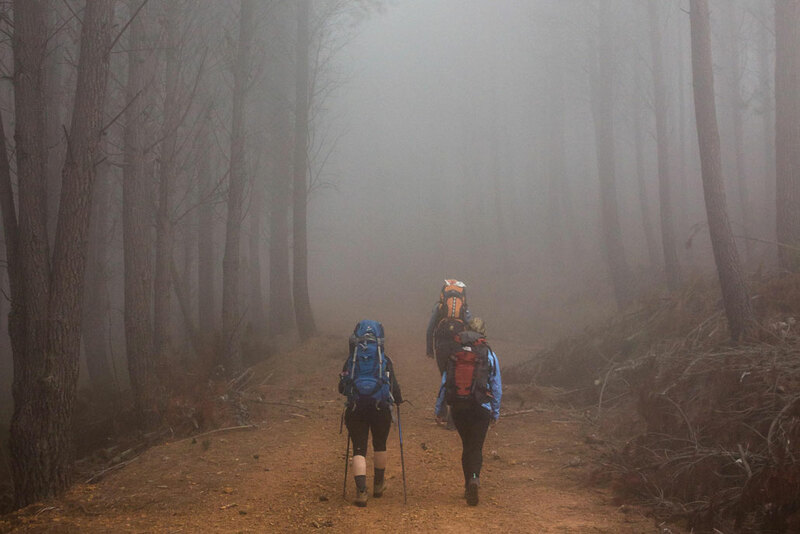 As we set off on day one, the cool morning air hung over the mountain in a thick mist that created a silent, dreamlike atmosphere. And then, like a dream, the mist started burning away and we got a sense of where we were as we looked down on Grabouw and the surrounding dams. 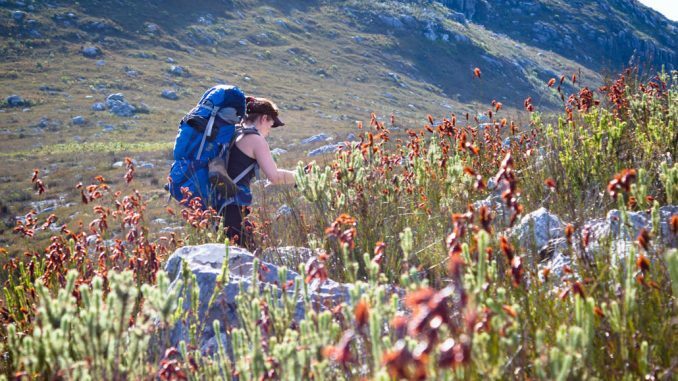 The first day is 12km long, moderately difficult and takes approximately 4 hours to reach the hut. 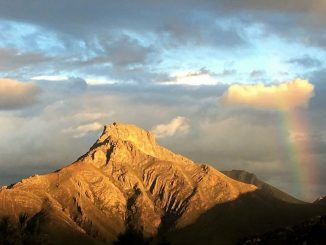 There’s lots of time to take photos, enjoy the views and just sit still and soak up the peace of the mountains. Once the Landdroskop Hut comes into sight it taunts you for another 2km as you have to walk around a valley to get to it. Landdroskop is a spacious stone building with a fireplace in the middle that heats up the entire place. Great for colder nights. It sleeps 30 people in total, but the rooms can be booked separately for smaller groups. There is another hut called Shamrock about 100m from Landdroskop hut with a wooden deck and an outdoor braai area. It was not available on the weekend we were there, but it looked like a perfect spot for sun-downers. We were treated to an amazing sunset and an equally beautiful morning. 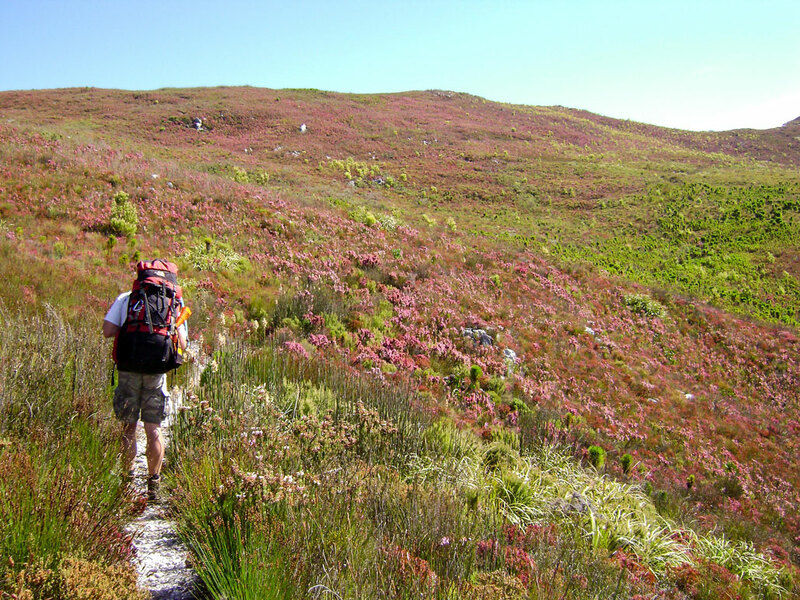 It is possible to walk back the same way you came, but we chose to take the jeep track which takes less than 2 hours to walk back to your car. 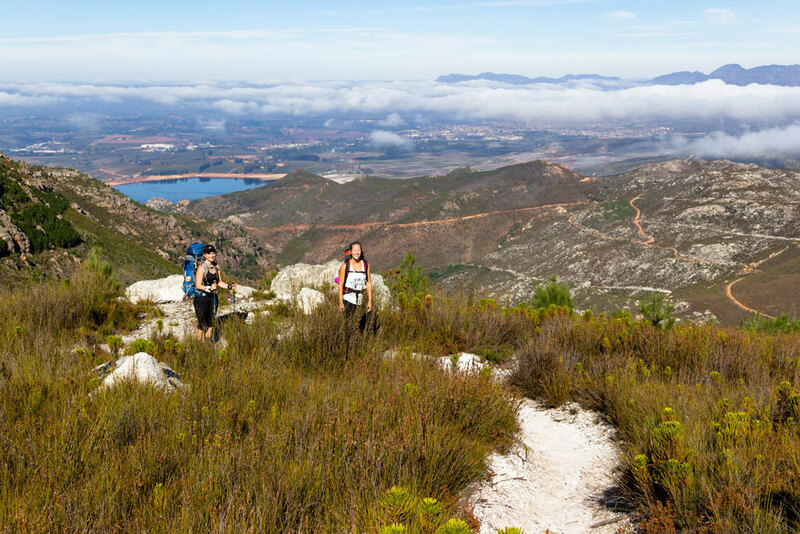 This 2-day version of the Boland Trail is totally doable for hikers of all abilities and quite suitable as an overnight family hike. This area has a bit of a reputation for unpredictable weather, so be prepared for any weather, no matter what the weather forecast says, by always bringing a warm layer, a beanie and a waterproof jacket. Difficulty: Moderately challenging at stages, but mostly gentle gradients on good paths. 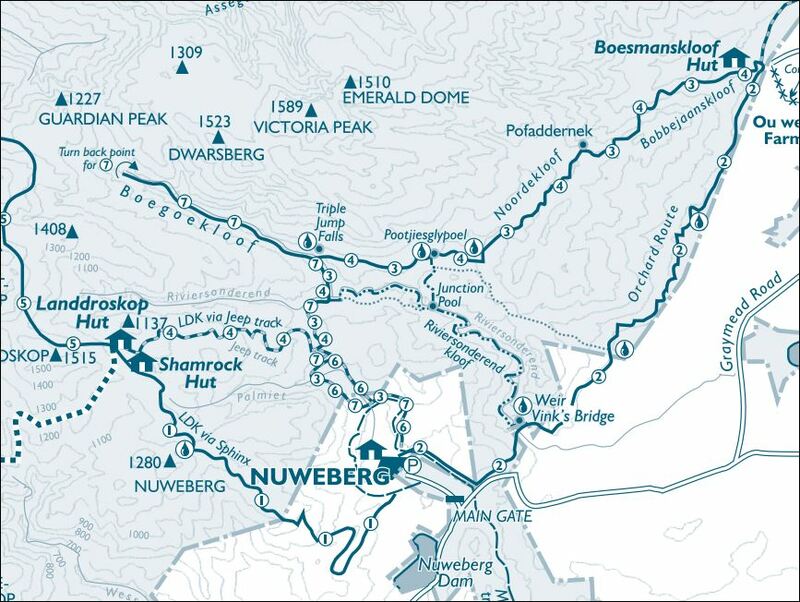 we are interested to do a 3day hike and would like some suggestions please? 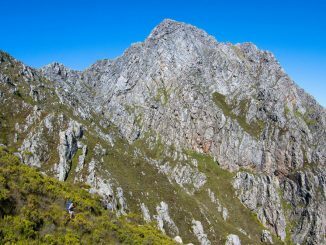 The Boland Trail 😉👍 This write-up is only for two days, but the full trail is three days. 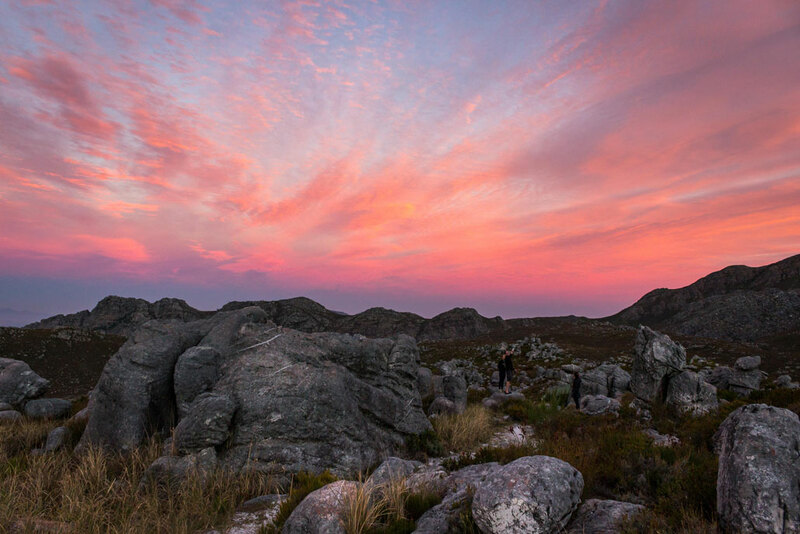 I have just been told by Cape Nature that the 3 day option has been stopped. 2 days only. Thanks for the feedback Amelia!